Workshop Online Booking and Payment. When I became the custodian of a paddock ravaged by conventional dairy farming in the early 80’s, I dreamt of embarking upon a life long journey to regenerate the landscape using sensible design principles gathered over years of travel and lessons learnt from permaculture guru, Bill Mollison. 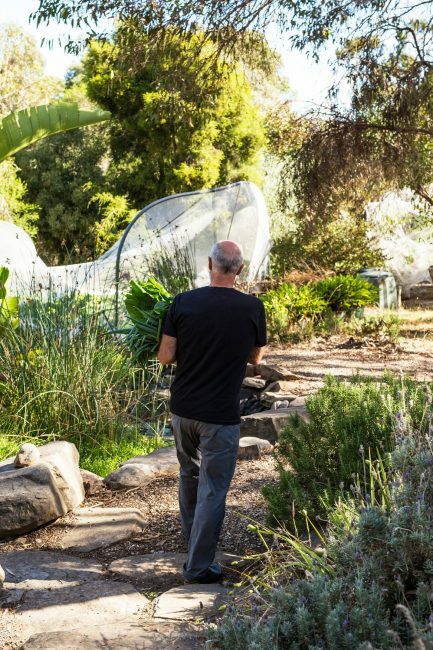 Come and join us on our journey and walk through our certified organic vegetable, fruit and herb gardens and beneath tree canopies planted over the last three and a half decades. As climate change and health issues threaten communities world wide the time has come to be pro active in growing and processing some of our own food. Our Organic Kitchen Garden Workshop will equip you with some basic principles on how to embark on this journey or consolidate your existing knowledge! Pre payment required to secure your place. Remember your hat and boots!